HOURS: 365 days, 6 a.m. - 2 a.m.
Our shop in the Calle Barcelona 10 is located 150 metres and less than 2 minutes walk from La Puerta del Sol, which is at the heart of the sights in Madrid. This famous square contains the so-called Kilometre Zero stone slab, marking the starting point for all for radial roads in Spain. This is also the square where we enjoy the 12 New Year's Eve bells that mark the traditional eating of the 12 grapes and the beginning of a new year. In La Puerta del Sol we can also find the statue of the "Bear and the Strawberry Tree", the symbol of the city and the shield of the beloved "Athletico Madrid" football team. La Puerta del Sol is very easy to reach thanks to its train and metro stations, making it a common meeting point for the city's inhabitants and the tourists who visit us. WHAT TYPE OF LOCKERS ARE IN OUR SHOP? If you are interested in storing your baggage in Madrid's safest luggage storage area, we are your best option!! 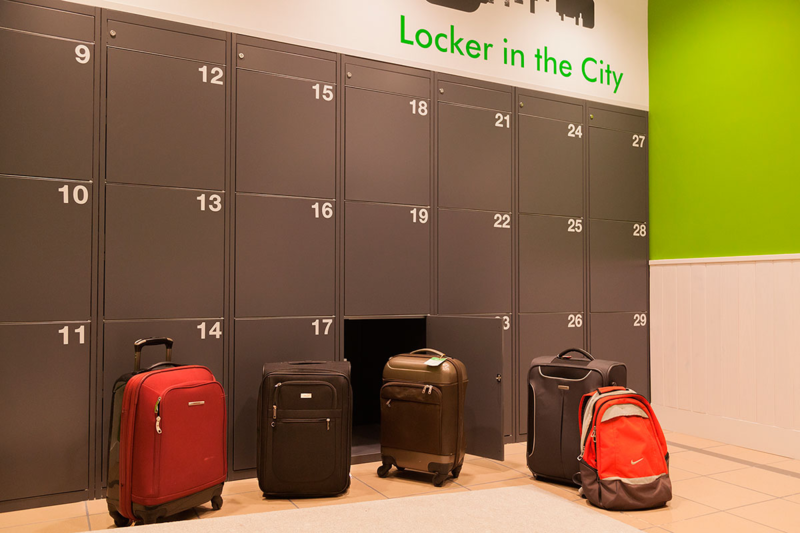 Locker in the City is Madrid's only baggage storage service that includes €1,000 per bag of insurance against damage and theft with a locker rental. But we are not only Madrid's most secure luggage storage area, we also offer lockers at the best price and since actions speak louder than words, here is our commitment in writing: If you find another locker in Central Madrid where you can store everything you want at a better price than Locker in the City, we will beat that offer by 25%!! So we will always be able to say that we are the best baggage storage service in Madrid. We are the only baggage storage service in Madrid that offers insurance with AXA for €1,000 per bag. Our lockers are opened with a secret 9-digit code unique to each reservation, not with an obsolete, vintage 4-number padlock :-). We also have 24-hour video surveillance with Prosegur. If security matters to you, we are your only option; we offer the safest lockers in Madrid. 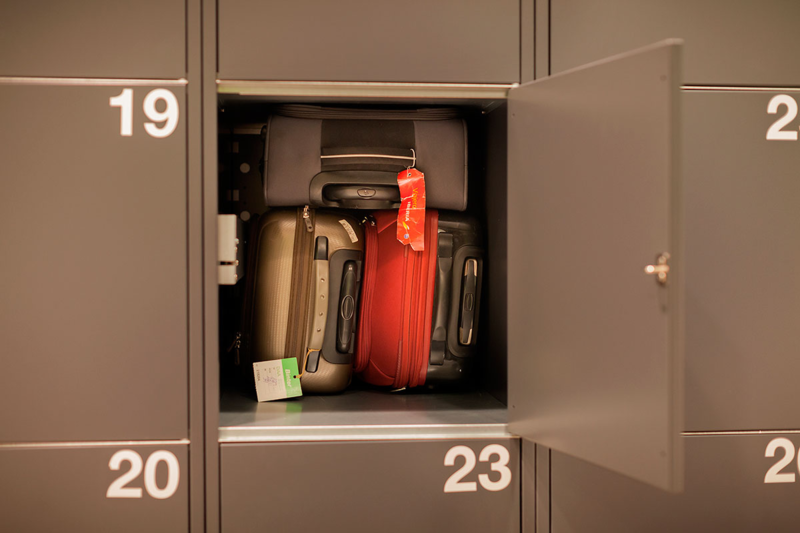 Our luggage storages offers the longest opening hours in Madrid, 365 days a year. We never close; not on Sundays nor holidays. Depending on the location, we have up to 20 hours of continuous access each day. 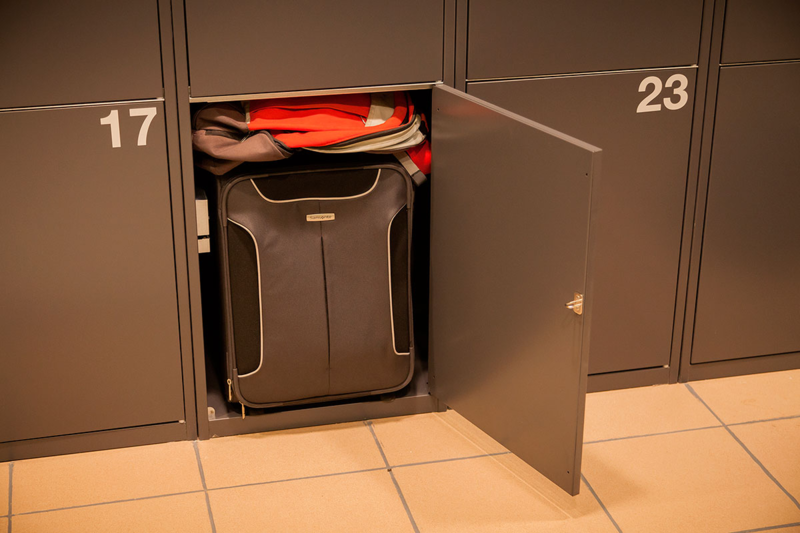 The entire process of renting a locker to store your luggage is online, without shop vendors, without long queues for service, without wasting your valuable time. Our secure luggage storages are located in the heart of Madrid. Check out the different locations on our website and pick the best one for you. 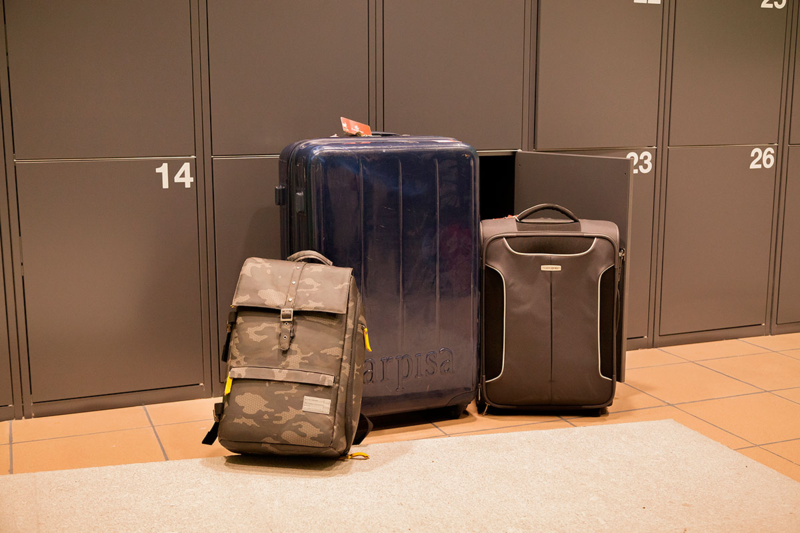 We are the only baggage storage service in Madrid that charges for the use of the locker, not for each bag you want to store. Rent a secure locker from Locker in the City and store anything that will fit in YOUR LOCKER; don't pay more per bag. Don't be fooled: don't pay per item! 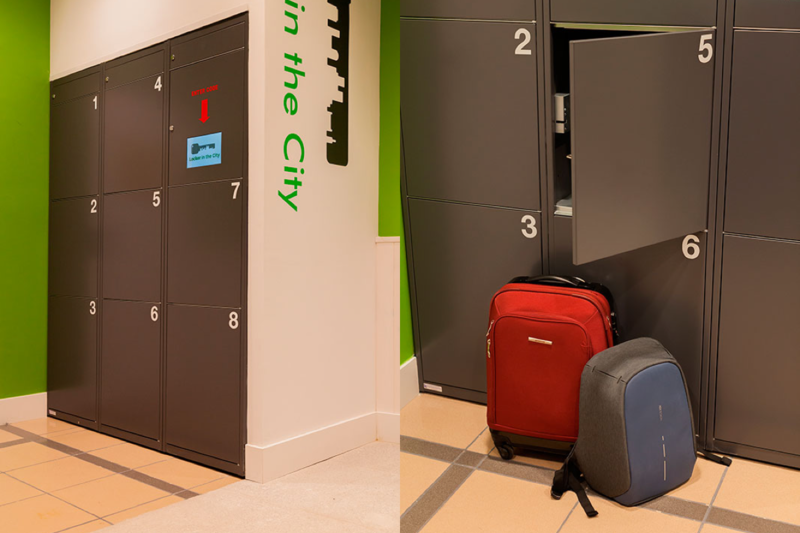 Rent YOUR LOCKER from Locker in the City, the only secure, fully automated luggage storage area in the centre of Madrid, at the best price, and with the best hours... Enjoy the city with two hands free!